Windows 10 upgrade hangs during installation - PC Buyer Beware! 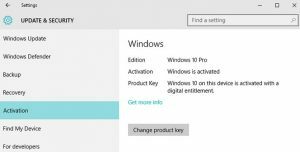 If the user has upgraded Windows 7 or 8.1 to Windows 10 during the year in which the upgrade to Win10 was free (ended on July 29, 2016), Microsoft has now made it possible to use a Windows 7 and 8.1 Product Key to activate a clean installation of Windows 10. This means that if users who upgraded to Windows during the free upgrade period won’t have to reinstall their previous version of Windows and then upgrade it to Windows 10. They can download the ISO image file of the version of Windows 10 they upgraded to from Microsoft’s site, clean install and activate it by using their Win7 or Win8.1 Product Key. If a Windows 10 upgrade hangs during the installation and you have not upgraded your computer to give it a permanent Digital Entitlement during the free upgrade year to July 29, 2016, you can still use the ISO image media to clean install Win10, but you will have to pay for a new digital licence. Note that if you have a Home version of Windows 7 or 8.1 you have to upgrade to Windows 10 Home. For an upgrade to Win10, you also have to match Pro, 32-bit and 64-bit versions. The Product Key informs Microsoft which version of Windows is installed. If you had a 32-bit version installed, a clean install allows you to change from a 32-bit version to a 64-bit version and vice versa, but not from a Home to a Pro edition. Also note that the free upgrade period is over so Windows 10 Home and Pro editions have to be purchased. Retail and cheaper OEM system-builder licences, which can only be installed on the first computer they are installed on, are available. It is also possible to purchase a cheap Product Key. Visit the following link to find out more about the available options. All users who upgraded Win7 and Win8.1 to Win10 have a permanent Digital Entitlement to Windows 10. Users can revert to using the earlier version of Windows (7 or 8.1) and still have a free entitlement to Win10, because Microsoft’s activation servers will be able to recognise their computers from the Digital Entitlements that were created for them. If the installation had been successful, Microsoft’s activation servers would have created and stored a unique computer ID formulated from the Win7 or Win8.1 Product Key and the computer’s hardware profile. That will also happen when you clean install Win10 successfully. Of course, it is still possible to use a Windows 10 Product Key that was generated during an upgrade from Win7/8.1 to Win10 during the year in which the upgrade was free. A tool such as the Belarc Advisor has to be used to find out what the Product Key is. When Win10 is installed, download and install the Belarc Advisor and look under Software Licenses on the top left hand side of the webpage that it uses to bring forth its results. Therefore, if you upgraded to Windows 10 to obtain a permanent Digital Entitlement to Windows 10 and then you reverted to using Win 7 or 8.1, if you want to upgrade to Windows 10 at some later date, you just have to obtain the installation media for Win10 Home or Pro, 32-bit or 64-bit version from Microsoft’s site and use it to match your existing version and clean install Windows 10 on its own partition or hard drive by providing your Win7 or 8.1 Product Key during the setup process. 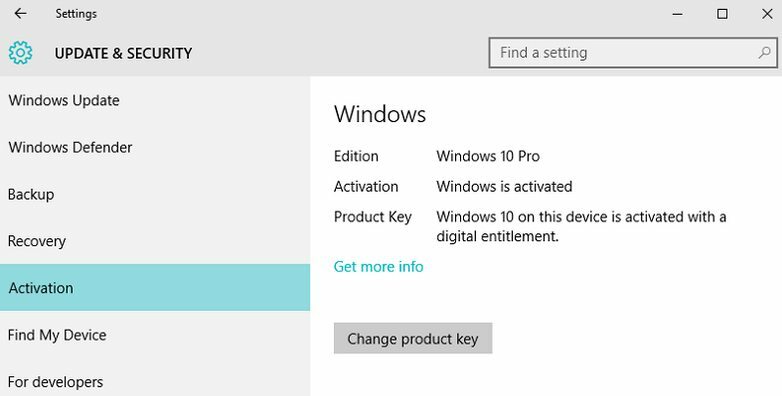 The information on the following page still applies, but since that page was written, Microsoft has changed its Win10 activation and licensing process, making it possible to use a Win7/8.1 Product Key. Remember, the free upgrade period is over, so users now have to pay for a new digital license when they upgrade or clean-install Win10 for the first time on a particular computer. Moreover, Microsoft is developing a new Digital License tool, at present in beta testing, intended to replace the current Digital Entitlement process. An indefinite and permanent Digital Entitlement to Windows 10 is presently given to computer upgraded to Windows 10. The new process ties the Win10 licence to a Microsoft account, such as an email account at outlook.com, Hotmail, etc. Therefore, when the Digital License tool is in operation, it will be necessary to provide a Win10 installation with a Microsoft account. Users will, as usual, be able to revert to using a local account that uses a login password set within Windows. If a Microsoft account is used, users have to log in to Win10 using the user name and password of their Microsoft account. August 15, 2016 in News, PC Problems and Solutions, Windows XP/Vista/7/8.1/10 Problems.